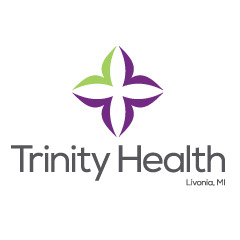 Provides leadership and direction for managing Trinity Health’s investments and other treasury functions including short and long-term financing, debt management, cash management and investor relations. In doing so, contributes to the overall operating and capital needs of Trinity Health and helps to ensure the achievement of organizational goals. This senior executive will also consistently demonstrate the Guiding Behaviors, leadership competencies and technical competencies necessary to make significant contributions to the long-term viability of the system. Must have a thorough knowledge of investment management, usually gained through completion of a Master’s Degree in Business Administration or related field and a minimum of ten years' experience of which a minimum of five years shall consist of investment management and treasury. Must have previous experience with cash and investment portfolio management. Must have experience with investment management, financial consulting or similar areas. Must be comfortable operating in a collaborative, shared leadership environment. Must demonstrate high intellect and creativity. PLEASE NOTE: In addition to resumes received via this posting, candidates may also be considered from the talent management process and/or from outside search consultants as appropriate.